Surrey Quays is a residential area of Rotherhithe in south-east London, formerly home to the Surrey Commercial Docks. It stretches from Canada Water to South Dock and its name alludes to the fact that the Surrey Docks, until 1900, represented the border between Surrey and Kent. Given its new status as an emerging place to live, transport links are extensive with rail services from Deptford, Elverson Road, South Bermondsey and St John’s, and tube stops at Bermondsey, Canada Water, Elephant and Castle, Rotherhithe and Surrey Quays. It is also home to Canada Water, which is one of the biggest regeneration projects in London. This £2 billion project will see the building of 3,500 new homes along with a leisure centre, a new high street and an entertainment hub among other things. 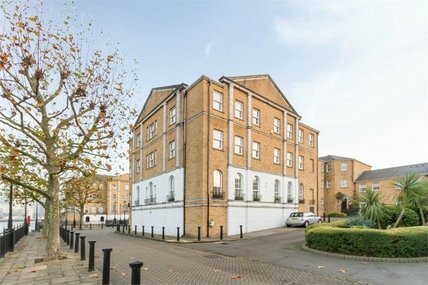 Due to the array of attractions close by, in addition to the widespread modernisation and community enhancement, property in Surrey Quays is becoming increasingly popular. The fact that the area is close to city life, yet just far enough away to avoid all the hustle and bustle is proving really appealing. 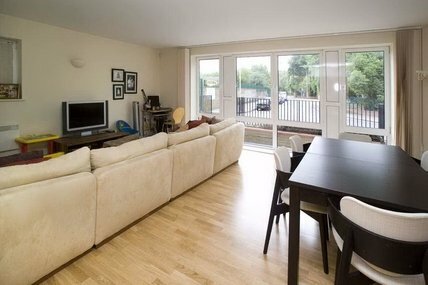 The property in Surrey Quays consists mostly of designer warehouse conversions and modern apartment blocks. Further inland you would find modern, three-bedroom family homes with gardens. As far as London housing stock goes, this area represents great value for money. Within the wider area, Canada Water is home to more modern housing and converted warehouses, and Rotherhithe is no different with popular wharves such as Bombay, Hope Sufferance and Tunnel. The award-winning Art Deco Princes Tower is nearby with its amazing views of Tower Bridge and the River Thames from its private balconies. 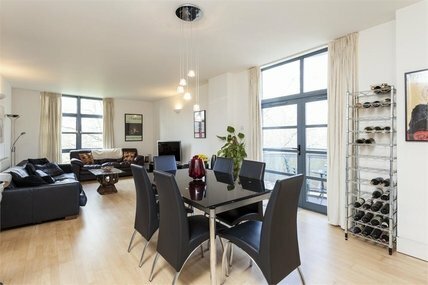 In a similar price bracket, Hays Court is a converted warehouse on Rotherhithe Street that has a selection of two bedroom flats. 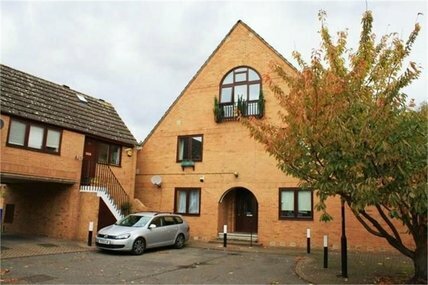 For those with more modest budgets, less expensive flats can be found at New Caledonian Wharf, Canada Wharf, Ivory Wharf and Iceland Wharf. 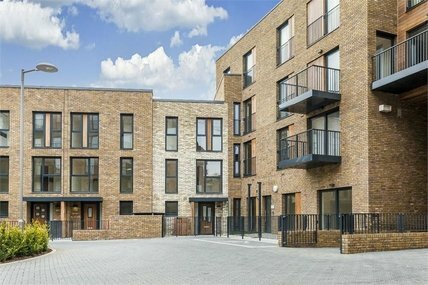 A number of former council-owned high rise blocks can also be found in nearby Rotherhithe, such as Landmann House and Addy House – both of which offer affordable, small apartments. An array of luxury apartments are also available close by on the river front within modern apartment blocks or warehouse conversions. These are highly popular amongst young professionals working in the capital’s financial district and offer spacious accommodation with great views across the Thames. To find out more about what this area has to offer, plus the wide range of property in Surrey Quays, feel free to contact our estate agent office on 020 7231 1066. Surrey Quays has lots of good primary schools to choose from, including Albion Primary School, Southwark Park School, Alfred Salter Primary School, Redriff Primary School, St Joseph's Catholic Primary School, Rotherhithe Primary School and Ilderton Primary School. It also has a selection of good secondary schools, including Bacon's College, St Michael's RC School and Harris Academy Bermondsey. The Surrey Quays area is undergoing a great deal of regeneration following a long period of neglect previous to the 1980s and the regeneration carried out as part of the London Docklands Development Corporation's project when over 5,000 new homes were built in the area. The largest project currently underway is Canada Water. A plan for the area was unveiled recently, which will involve renovating the entire area in a 15-year, £2 billion project. The ‘Canada Water Master Plan’ will cover 46-acres, and it will see the building of 3,500 new homes, the renovated Surrey Quays Shopping Centre, a new high street, an entertainment hub, a leisure centre and more. It will involve the building of a number of large buildings, some of them up to 50 storeys. Following a decade of dereliction after the closure of the docks, many were filled in with the only surviving areas of open water now being Greenland Dock, South Dock, Canada Water and Surrey Water. In 1981 the London Docklands Development Corporation was established to re-develop the former docks, including the Surrey Docks, leading to 5,500 new homes being built, from individual detached housing to large apartment complexes. Surrey Quays was christened in 1989 when the Surrey Quays Shopping Centre was built on the infilled southern part of Canada Water. This is still undergoing a facelift, as part of the area’s wider re-development plans which come under the exciting Canada Water regeneration programme, led by Southwark Council and BL Canada Quays Ltd, which will bring 2,700 new homes, new retail and office space, leisure facilities and a civic square at the heart of Canada Water. The shopping centre offers a number of high street stores, a supermarket and a large selection of bars and restaurants. More recently, the area experienced large-scale re-development with further new homes, a new library, cafés and restaurants. Further afield there are a number of other attractions including the picturesque Southwark Park, the Brunel Museum, the Surrey Docks Watersports Centre and Surrey Docks Farm. The historic Mayflower pub, named after the Mayflower vessel which set sail to America from the very spot in 1620, is also within easy reach. Surrey Quays has a number of stations and bus routes, making it a well-connected area of London.